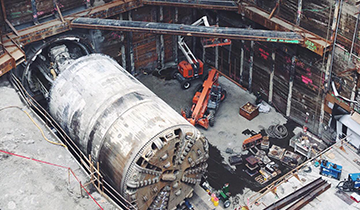 Metro’s Inspector General released a Report on Capital Project Construction Management Best Practices, which was presented to the Metro Board of Directors. Subsequently, Metro’s Program Management Department reviewed the report and provided responses to each of the recommendations, which were numerous and fundamental. Metro’s Program Management Department used this comprehensive report as a catalyst to bring about positive changes in their program and construction management best practices. As a result of the report findings, KKCS was hired as a Program Support Consultant to assist Metro’s staff in bringing a focused effort to implement specific changes. KKCS is developing and implementing construction management best practices at Metro to improve the delivery of large capital programs. We offer Metro services through staff who collectively share all the required construction and oversight perspectives that result from years of program and project management in addition to project management oversight experience with the Federal Transit Administration and Federal Highway Administration.